Total Immersion Celebrating 25 Years of Coaching Excellence! 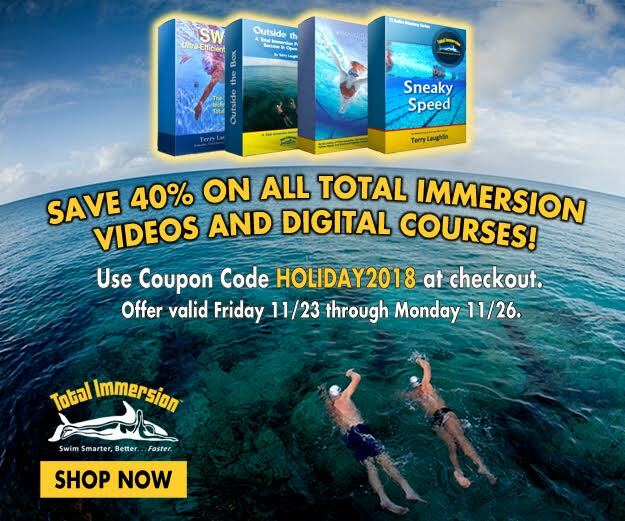 The one and only Total Immersion Swim Studio conducts freestyle workshops every weekend, year round, and twice weekly. The Total Immersion Swim Studio (TISS) offers a variety of programs geared to adult learners with diverse needs, including: new swimmers, triathletes, four-stroke competitive swimmers, special needs swimmers, and recreational swimmers. We regularly assist students who wish to pass university or military swim tests, so let us know what your specific interests are. If your swimming feels uncomfortable, hard and/or slow, it may not be because you lack conditioning. It’s because you move around in water and move water around instead of moving through water. We call that the Universal Human Swimming Problem (UHSP), since we are terrestrial mammals practicing an aquatic skill. 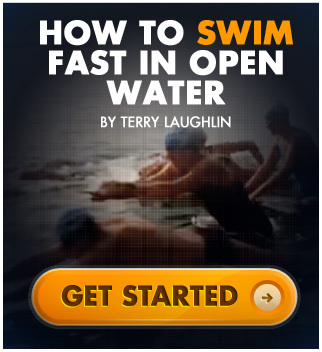 Learn to Swim -- Are you a beginner? Do you feel you're sinking? Find it hard to breathe? Afraid of deep water or reluctant to get water on your face? Nearly all new adult students start out feeling this way. Discover your potential for physical comfort and mental control with a gentle, focused approach. TI specializes in new adult swimmers, and we will work with you to transform struggles into skills, concerns into confidence, barriers into successes, and feel a sense of personal power. Swim Improvement -- If you have basic swimming skill, we’ll teach you to swim farther, faster, and easier. Traditional endurance training prescribes laps and more laps. It feels like a grind, in body and mind. Smart endurance training brings steady measurable progress, energizes rather than exhausts you and trains your brain, not just your muscles. Effortless Endurance -- If you have triathlon goals or want to swim for health and fitness, we’ll teach you to swim any distance -- and feel energized, not exhausted afterward. Continuous Improvement -- If you’ve been swimming for years without improvement, we’ll teach you the physical and mental skills of Continuous Improvement. Excel at Swimming -- For people who have TI experience, have learned Balance and Streamline and want to improve Propulsion, Breathing, the 2-beat kick, and add more speed.